A ravishingly beautiful built up-and-coming star of his outstanding sire, Cornet Obolensky. 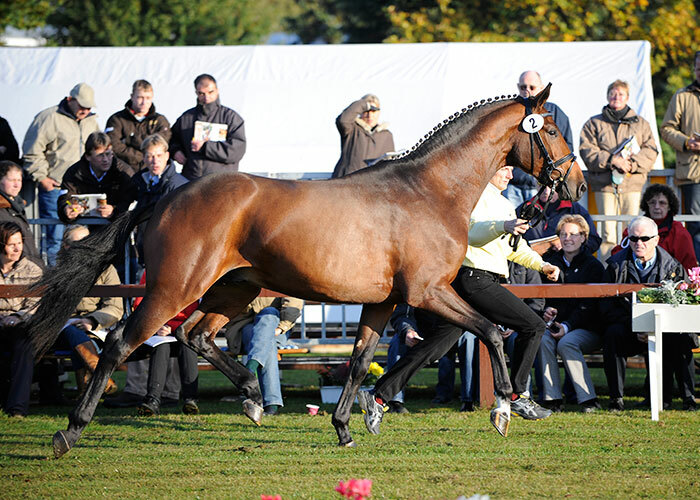 With a certain fast and smart reaction at the jump, Cornetus seemed to play with the measurements at the 2010′ licensing while demonstrating the full scope of his ability over jumps in free-jumping and immediately caught the attention of all spectators. 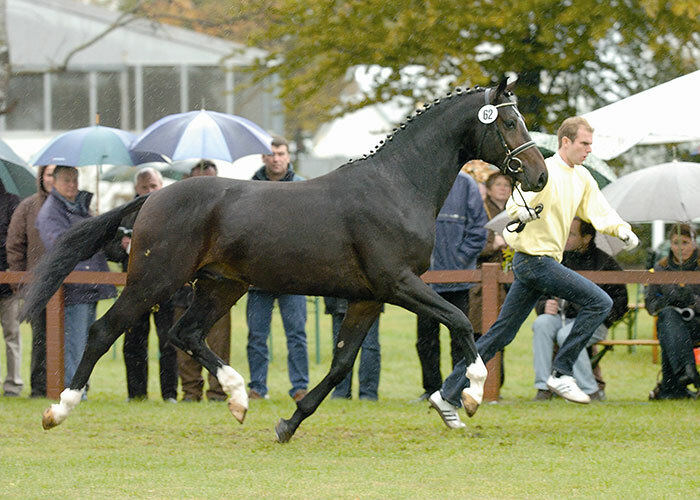 In his 30-day test he received a 9.0 and 9.5 for his jumping ability, a 9.5 for his oneiric canter. 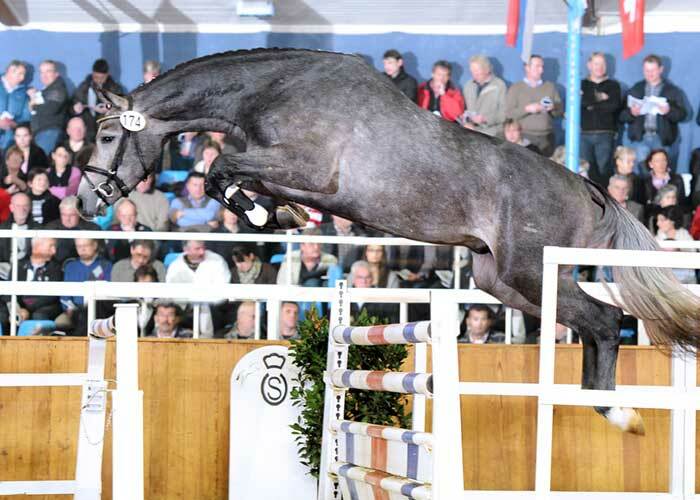 Sire Cornet Obolensky belongs to the best jumper sire in modern times and according to the Breeding Yearbook he is looking back at 58 licensed sons – including three champion stallions – and more than 70 show jumping horses in 1.50 m classes which were not older than eight years in 2011. 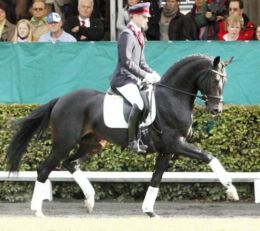 He secures the inheritance of his sire Clinton, globally successful under Dirk Demeersmann, by means of being Olympic honored and the double winner of the Samsung Super League final as well as many successes in Nations Cups and Grand Prixs. Dam’s sire Continue produced several licensed sons and numerous advanced (S) horses and immortalized himself especially as dam’s sire in the pedigrees of successful stallions like Balou du Rouet or Cornet’s Balou.